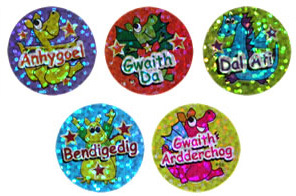 A variety pack of sparkling Welsh reward stickers, with Welsh-language messages of praise and encouragement. 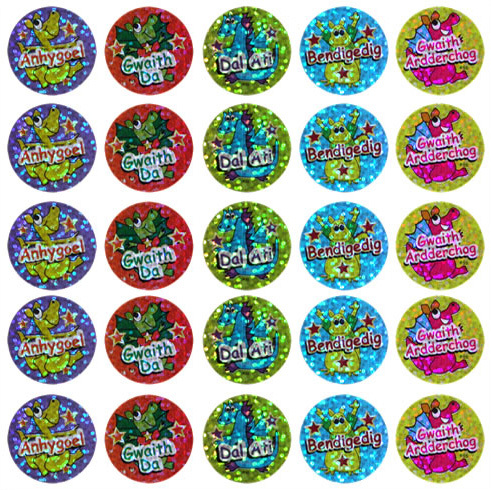 This is a mixed pack of 125 reward stickers (25 each of 5 different designs, as shown above). *.